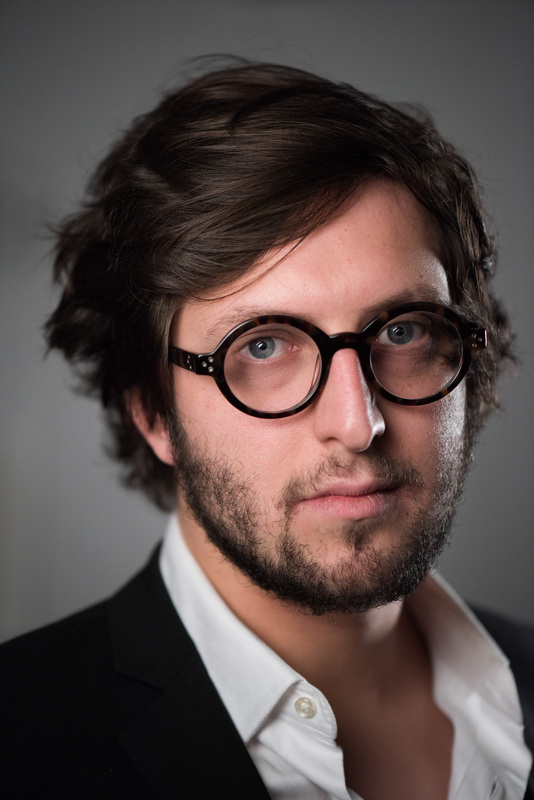 The “opulently gifted” David Hertzberg (Opera News) is an innovative young composer whose works continue to amaze and thrill audiences. His opera The Wake World received the 2018 Best New Opera Award from the Music Critics Association of North America. Commissioned and premiered by Opera Philadelphia, the work was his first as the company’s current composer-in-residence. In the summer of 2018, his opera The Rose Elf opened a special series at the catacombs in the Green-Wood Cemetery in Brooklyn to wide critical acclaim. Mr. Hertzberg’s compositions have been performed at Carnegie’s Zankel Hall (an American Composers Orchestra Underwood Emerging Composer commission), Lincoln Center by the New York City Opera and the Kennedy Center in Washington, DC (a presentation of YCA alumnus Mason Bates’ KC Jukebox), as well as by the Kansas City Symphony, the New England Philharmonic, the Pittsburgh Symphony at its 11th Annual Reading Session, and by California’s North State Symphony. As the 2012-2015 Young Concert Artists Composer-in-Residence, soprano Julia Bullock premiered his Ablutions of Oblivion at her New York recital debut at Merkin Concert Hall, and gave a repeat performance of the work at the Resonant Bodies Festival in Brooklyn. The Young Concert Artists Composers Concert at Merkin Concert Hall presented his work Orgie Céleste, performed by clarinetist Narek Arutyunian, violinist Paul Huang, and YCA alumna pianist Ursula Oppens. Mr. Hertzberg’s most recent honor is a 2019 MacDowell Colony Fellowship. He is recipient of the Charles Ives Scholarship from the American Academy of Arts and Letters, ASCAP Morton Gould Young Composer Awards, the William Schuman Prize at the BMI Student Composer Awards, and an Aaron Copland Award from Copland House. He has had two residencies at the artist colony Yaddo, and received commissions from Harvard’s Fromm Music Foundation and the American Composers Forum with funds from the Jerome Foundation for a premiere by the PRISM Saxophone Quartet. Mr. Hertzberg was a Leonard Bernstein Composition Fellow at the Tanglewood Music Center and attended the Aspen Music Festival, working with George Tsontakis. He participated in the Santa Fe Chamber Music Festival’s Young Composers Program, where his commission was premiered by the Flux Quartet, and was later performed by the Dover Quartet at the Curtis Institute and the Fromm Quartet at Tanglewood. Outside of the U.S., his work has been performed in Hong Kong at the Intimacy of Creativity Festival, he has worked with composers Steven Stucky and Anders Hillborg at the Swedish Collegium in Uppsala, he studied composition at the Internationale Ferienkurse für Neue Musik in Darmstadt and Freie Universität in Berlin, and he was a Fellow at the European American Musical Alliance in Paris. Born in 1990 in Los Angeles, Mr. Hertzberg began studying composition, violin, cello, and piano at the age of eight at the Colburn School. He completed his Bachelor’s and Master’s Degrees with Scholastic Distinction from The Juilliard School, where he worked with Samuel Adler. While there, he had numerous compositions performed by Juilliard ensembles at Alice Tully Hall, held a teaching fellowship, was awarded the John Erskine Prize for outstanding artistic and academic achievement, and won the Juilliard Orchestra’s composer competition and Arthur Friedman Composition Prize. David Hertzberg holds an Artist Diploma from The Curtis Institute of Music, where he worked with Richard Danielpour.